This deck is brought to you by the brilliant mind of TJ Streetsahead. He has been working on this deck for several months with the help of TJ Opyo0 and has finally settled on his card choices. To quote the man himself, “I’ve tried it with 40 cards. I’ve tried it with 42. I’ve tried it with 60 and it won an internal. I’ve tried it with 52. It works best with 45″. 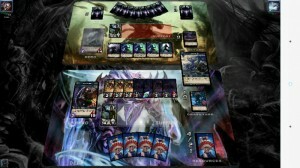 I have run the deck a good number of times and when it works, it is one of the most fun decks I have played with. The resource ramp can be unbelievable. It is not unusual to end a match with over 16 resources. The driving power of this deck is how fast you are able to draw with a high amount of resources. I advise you not to sacrifice any Bad Santa or Sacrificial Lamb. 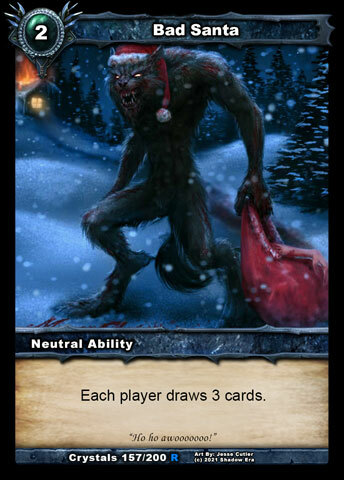 Bad Santa may be bilateral draw, but with high resources you can do more with your cards than your opponent. Wrath of the Forest is amazing combined with Anmor’s Call. This is where the deck gets fun. If at all possible, play Anmor’s Call on turn three. This is one of the most important keys to winning with this deck. Once you have Anmor’s Call attached to your hero, you no longer have to worry about sacrificing any cards. 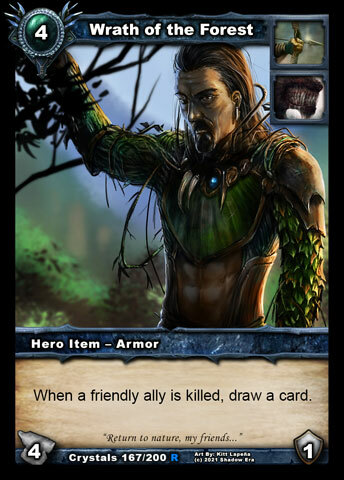 The next card you want to try to get out is Wrath of the Forest so that you are filling your hand and your resource pool when allies are killed. 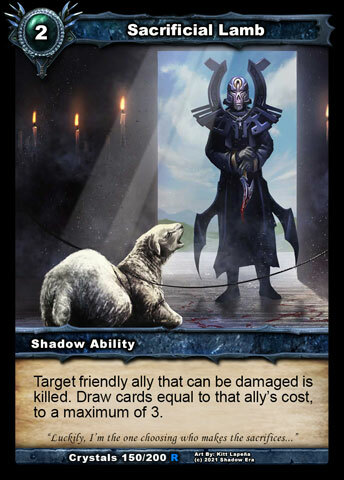 Sac Lamb will get you four cards and one resource at this time. 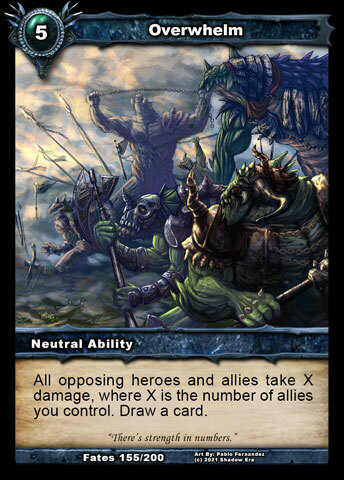 Before you know it you will be at twenty resources drawing a few allies per turn, setting up for the perfect board clear. One piece of advise is if you draw an Overwhelm in your opening hand, do not be afraid to sacrifice it (you still have three more). Other than that, Overwhelm is a very important card in winning with this deck. 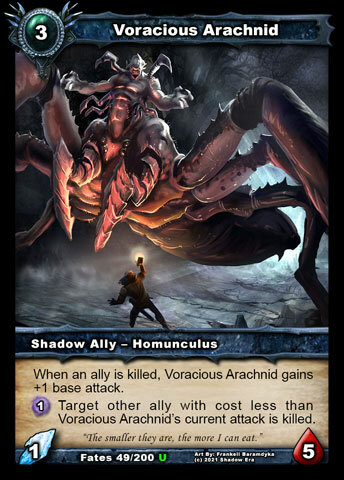 Voracious Arachnid is one of the allies that I choose not to sacrifice. He grows very big when combined with Overwhelm. I have beaten a few Millstalkers and other stall decks by stacking allies and using Overwhelm. Often later in a game you will have the resources to play three or four allies and drop Overwhelm as well. We hope you enjoy this deck! SamuelJ, also known by some as Samdroid, is an avid gamer and a champion of justice. Half man, half machine, all player.